Here are some of the photos from our short trip. Not a bulb was spared in lighting up this park from the simple walkways to this huge Christmas tree. Wooden houses were decorated with bright and colourful lights. Shutter-happy park guests took turns in posing with the decorations. There was also a train inside for the younger guests to enjoy. Too bad though it was not operational when we went. On the other side of the street was this sign and some more beautifully lit wooden houses. 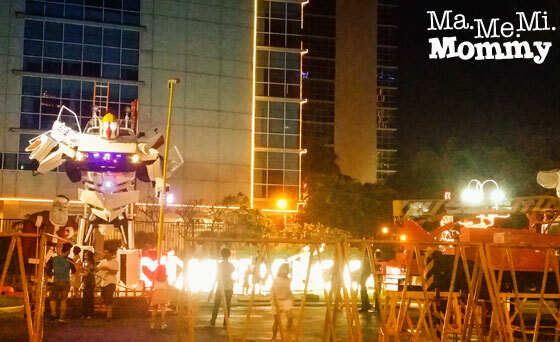 You can go around the entire Meralco compound by taking a shuttle ride. The line was a bit long though so we decided to just take our car for a spin. On the far end of the compound was this attraction that looked like it came straight out of a Transformers movie. No wonder there was a long line for the shuttle! 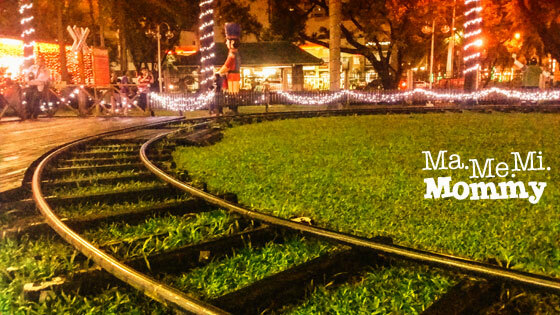 If you haven’t yet, you can still check out Meralco’s Liwanag Park until January 19th! I’ve been planning to visit that park for ages. As in wala pa si Skye. Never na natuloy. Sana next year, makapunta kami especially since mas may wisyo na si Skye and she’d enjoy it for sure. 🙂 Ganda ng pictures. 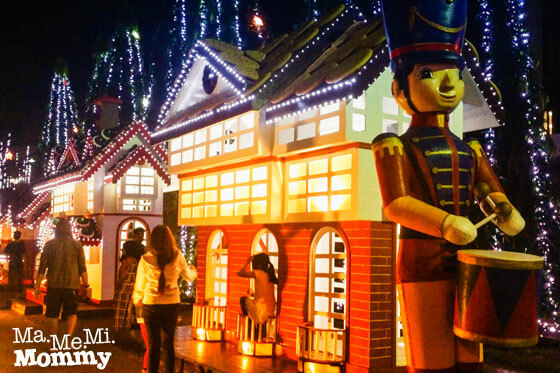 For sure enjoy si Skye sa lights! Open pa naman till the 19th 🙂 Thanks, Reigne. harrrr…i’ve made so many plans for this year — visit snow world, see liwanag park, see the rainforest in pasig…but our car has long given up on us. i really hope we get to see this before it closes! Wow, this is really nice. 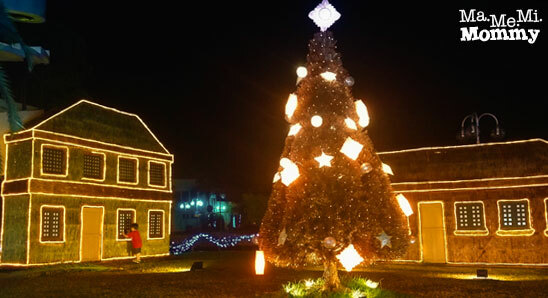 Sayang lang ang layo but I hope next holiday season we can visit this. Back to school na kasi tom. Wow, truly they are the lighting company hahaha! We were planning to go there last week but since I’m not feeling well we were not able to. Good thing you mentioned that we can still visit the place up to the 19th of this month, thanks! 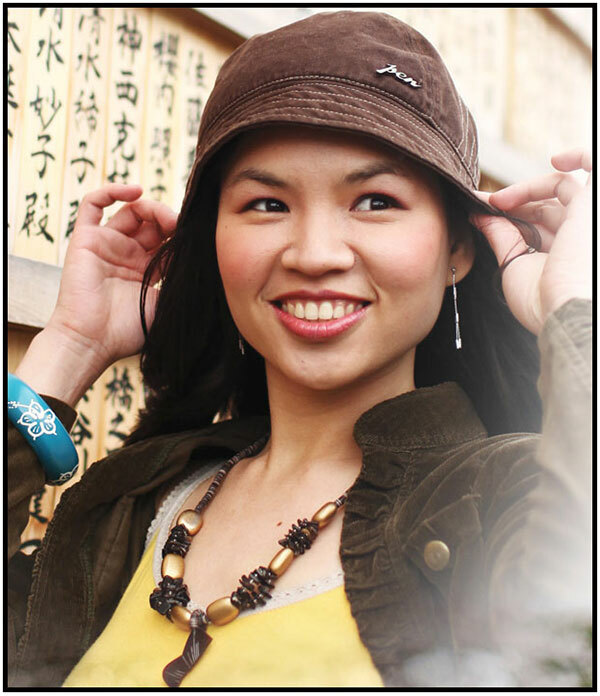 Rowena Wendy Lei recently posted…Presenting… the Jergens Moisturizing Collection! Ikaw na ang supplier ng kuryente! 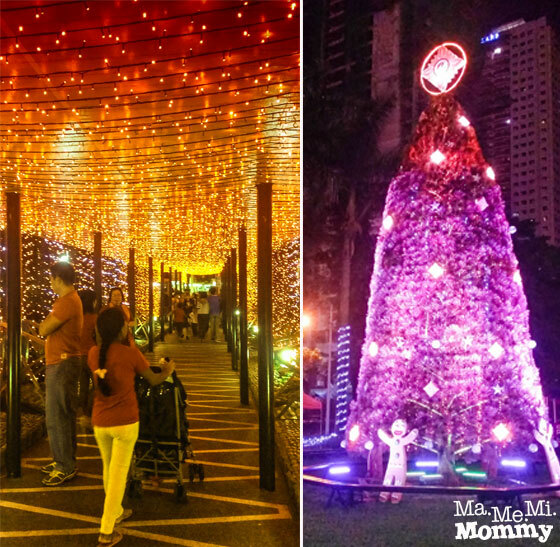 Taob ang grand festival of lights sa Liwanag Park ng MERALCO! I can’t wait to see my electricity bill after reading this post. Hehe. 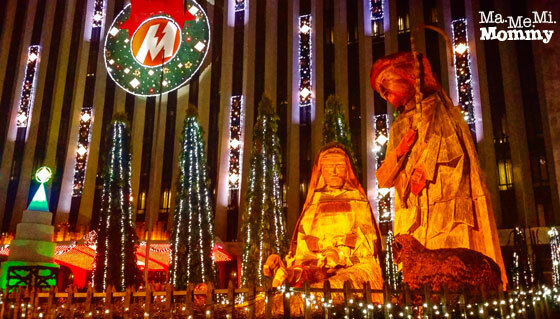 We enjoyed our visit to Meralco Liwanag Park, too, in 2012. It’s just across the place where we live, plus it’s free.